HOPE – The Hope Public Schools summer nutrition program will kick off June 11. Meals served at all locations through the summer nutrition program from June 11 through July 27 are free of charge, according to Deanna Gilbert, district food services director. “Students must be under 18 years old,” Gilbert said. Serving will be from 11:30 a.m. to 12:30 p.m. each week day through the program period. A lunch meal will be served each day at the Fair Park Tennis Courts Pavilion, Northside Park New Pavilion, and at the Hope High School campus. 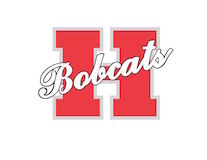 Breakfast will also be served during summer school on the HHS campus from June 4 - July 27, Gilbert said. “If any organization has a group of students they would like to take to one of our locations to participate, please call my office to make arrangements,” she said. Additional information is available from Gilbert’s office at 870-777-3231.